Alex joined the firm as an associate in September 2018. Prior to joining the firm, Alex served as a judicial law clerk for District Judge Dee V. Benson and Magistrate Judge Paul M. Warner in the United States District Court for the District of Utah. She also clerked for Judge Peter W. Hall in the United States Court of Appeals for the Second Circuit. 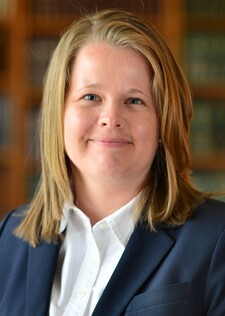 Her practice focuses primarily on criminal and civil litigation. Alex graduated first in her class and Order of the Coif from the University of Utah S.J. Quinney College of Law. She served as the managing editor of the Utah Law Review and a member of the SJQ Corporate Transactional Law Team.